Struggling with gymnastic skills such as hspu, toes to bar, pull ups, pistols? Use these 7 steps to work out the best way to achieve them based on your current ability level, available time and priorities. I had an athlete who just wanted to get a Strict Handstand Push up someday. She had been doing CrossFit for 3 years at this point. Everything was improving and she had come a really long way. But now that there was a specific goal, we had to audit her time, energy, and actions to see where the inconsistencies were. The worst feeling is when you realize 6 months have gone by and you’re in the same spot as before. Incremental progress keeps us motivated. As a podcaster, I love asking myself questions because it triggers thought in a variety of ways. So as you’re going through these steps, talk to yourself and maybe even write the answers to the questions down. First, let’s identify what gymnastics skills are you struggling with? What is your goal? Remember the answer to this because you will plug it into later steps. This is the fun question. We can start to really dig into where your time/energy has been going. Don’t gloss past this one either. Feel free to get as detailed as you want. Really think about the flow of how you spend your time at the gym. Step 4: What are you realizing? This is a sweeping generalization because every gym programs a little bit differently. But typically GPP programming is not getting you better at your gymnastics skills IF [GOAL/MOVEMENT FROM STEP 1] shows up on the board once or twice every few weeks. After all, the intent behind a GPP program is to improve fitness overall, not necessarily specialize to focus around certain skills. Great programs figure out the a way to balance the two goals in unique and creative ways to serve their community’s needs. 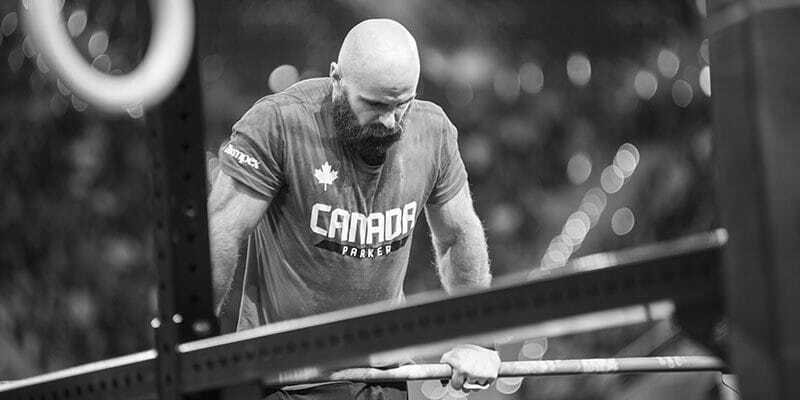 If you burnout really fast when you try to perform your [GOAL/MOVEMENT FROM STEP 1] in WODs — you need to condition your joints, tendons, ligaments, muscles, and overall structure to be able to handle the intensity. This takes time, patience, and letting go of ego. When else am I working on the [GOAL/MOVEMENT OF CHOICE FROM STEP 1]? And what exactly are you doing? Am I willing to dedicate 15-20 minutes towards solely improving this [GOAL/MOVEMENT OF CHOICE FROM STEP 1]? Okay great, if you’ve made it this far, this is the start of uncovering your solution. The 4 phases of movement is something I learned about form Dave Durante and has stuck with me every since. WARNING: This is not a “one and done” approach. It’s important to note that you want to view these phases as something cyclical. Just because you have Phase 1 in the bag doesn’t mean you never have to focus on it again. What am I not getting enough of at this point in time? Have I skipped any steps completely? You must leave your ego at the door before moving forward. Here. We. Go. This consists of core strength and flexibility. These two components allow us to get into positions desired for [GOAL/MOVEMENT FROM STEP 1]. When we’re talking about core strength, it is all-encompassing (obliques, abdominals, hip flexors, and entire posterior chain). An example would be something like the Hollow Body Hold. If we’re not fluent, then we’re going to run into trouble when it’s time to learn how to kip. Mastery of the Hollow Body position is crucial to learning how to kip efficiently. This is where I see the most roadblocks. Most people skip this step unknowingly. A lot of what we do in WODs or intense exercise consists of concentric contractions. That’s great, but if we neglect isometric and eccentric strength, we’re failing to prepare the structure necessary to keep playing the game we want to play. For pull-ups, think about how it’s always explosive in a WOD. 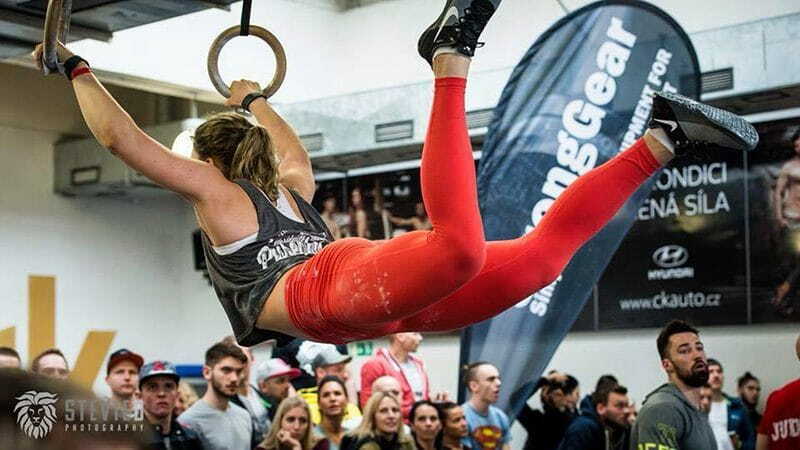 You’re kipping, doing butterfly, or just flailing your hips to get your chin over the bar. Adding isometric and eccentric work in the right doses is one of the fastest ways to get stronger, especially if you haven’t given this much focus in the past. Something I like to test for pull-ups is: How long does it take you to accumulate 60 seconds for a Supinated Grip Chin Over Bar Hold? How are you having to break up your sets? This is where we spend a lot of our time. Especially if you rely on just metcons to work on your gymnastics skills. 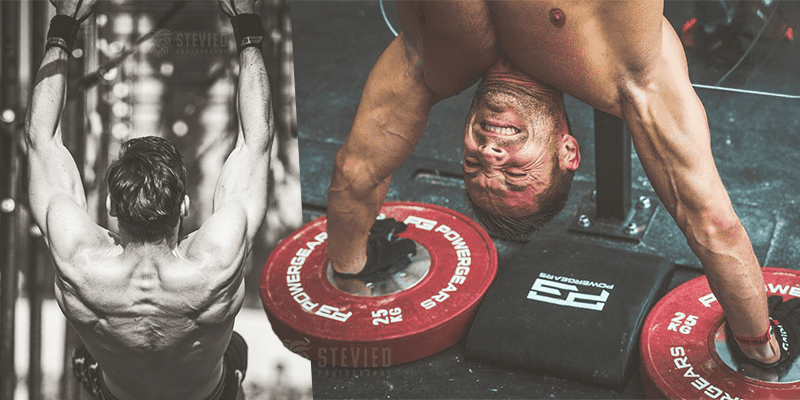 Kipping Pull-ups, Kipping HSPU, Kipping Muscle Ups, etc. The problem is that if you spend most of your time here without keeping tabs on Phase 1 and 2 — you’ll run into a plateau or inch your way closer to injury. Phase 1 and Phase 2 is what ALLOWS you to reach your potential in Phase 3. If there’s no money in the bank in the above areas, it’s like swiping a credit card endlessly without ever paying it back. Think of this as something like Handstand Walking or putting together complexes like 5 Strict Toes To Ring + 5 Kipping Toes To Ring. We can figure out ways to challenge your movement if you’re at this level in a variety of ways. This is a rabbit hole I’ll go down in another post because I want to highlight the first three phases and give them justice. Step 7: Train those weaknesses?